While it might be hot as buggery right now, crisper nights are only a month or so away. Why not cool down with a bit of retail therapy and some cosy plans for cooler days? 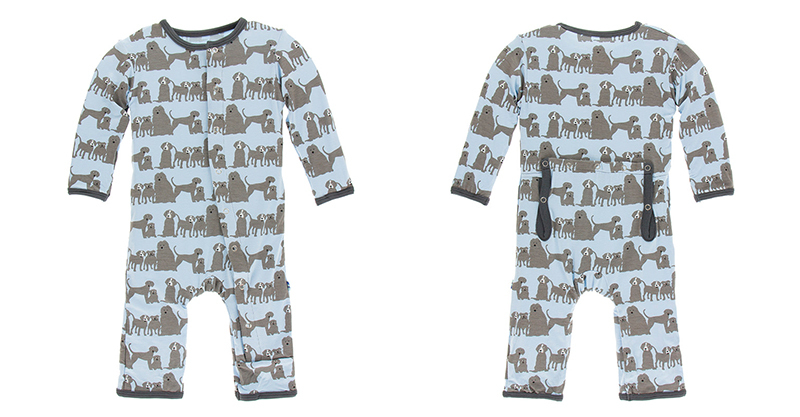 Let’s start with adorable and classic onesie PJs. The kind with the adorable back flap for easy nappy changes. So cute, right? 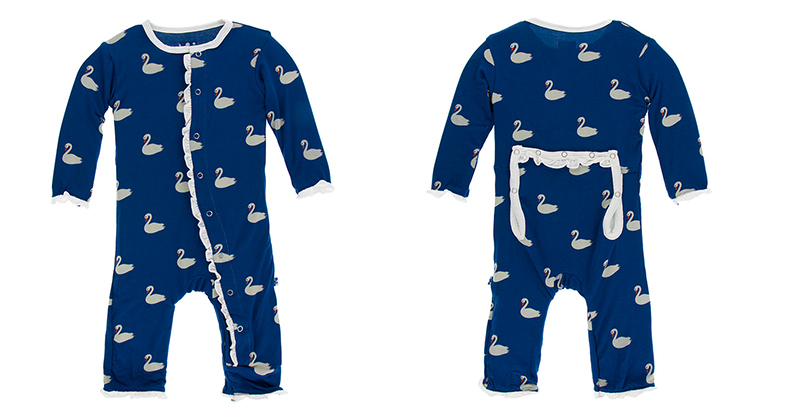 Kickee make a whole bunch of amazing prints and appliquéd onesies – or coveralls as they call them. We plucked a few of our favourites from their range, but goodness you should go take a peek for yourself because there are so many nice ones! They also have ones with feet – called ‘footsies’. 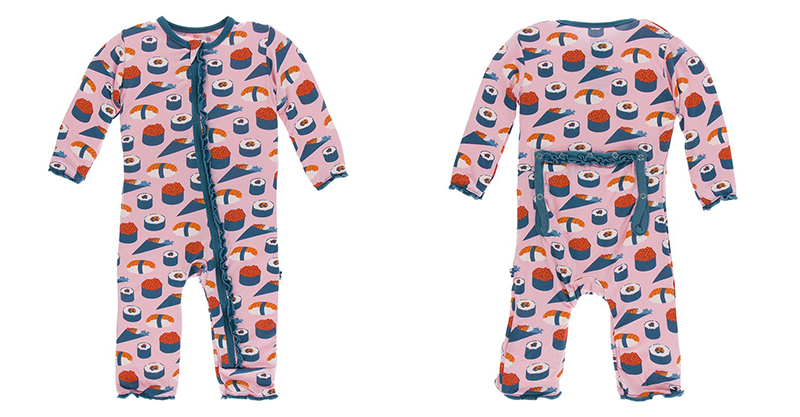 Some of these PJs come in premmie sizes, making them a perfect gift for parents of early babies. Fabric mix is 95 percent viscose from bamboo and 5 percent spandex. Sushi, rice and everything nice! 🍣 Swipe up on our IG story to sea sushi items! It looks like new prints sell out very quickly so keep an eye on these guys – perhaps by following along on Instagram? We also spotted Hilary Duff’s kiddos wearing some of Kickee’s pieces (above) in case you needed further convincing re the cuteness of this range! And like we said, there’s so much more on the Kickee site. Get your tushie over there!